Cool uNiWeS is a research company that is constantly search for new ideas and concept that can be used to help you for online web business. We have gone through the pains of trials and errors to find the best e-commerce solution or products that are useful to make money online. We do not encourage short term business that are fly by night type instead we want you to build a solid long term recurring income with web. We help you to discover the potential of businesses that you may have an ideas and putting it on the web to generate income. If you think you are ready to emerge your business online, email us and we can get you started. Most of the graphic designs shown are from third parties and to the best of our knowledge these gifs and texts are not copyrighted! If you find any gifs or texts that are, please notify us & we will remove them immediately! Thank you! Microsoft, Windows, MS, Internet Explorer and the Windows logo are either registered trademarks or trademarks of Microsoft Corporation. Microsoft Corporation in no way endorses or is affiliated with this site. All other trademarks are the sole property of their respective owners. To the maximum permitted by law, Uniwes.Com excludes all liability to any person arising directly or indirectly from using this site and any information or material available from it. Links to and frames of this site are permitted but Uniwes.Com reserves the right to prevent linking or framing by giving notice. Links and frames connecting this site with other sites are for convenience only and do not mean that Uniwes.Com endorses or approves those other sites, their content or the people who run them. Learning the skills & tips of basic Feng Shui without relating to superstition or old wives' tales. Feng Shui is a knowledge based on research study that is carefully crafted in proper perspective of chinese metaphysics. We should clear our minds from the myths and superstition to understand the real mystery behind Feng Shui giving real results for your house. Feng Shui is also similiar to Science where practising and applying formulas on human living environment to get the best possible results for people who are living in the property. In the past, Feng Shui is used to apply for Yin environment where there are burial ground to benefit future generations. Now, we are using Feng Shui to apply for the living based on the house, time, environment and the person. The most important factor for Feng Shui lies on the location & direction. Feng Shui means Wind & Water. It is the positive Qi energy that will be carried by the Wind and coming into the house where it should settle down in the water corner. That is the reason for having a fish tank or water feature located in wealth sector. To know the wealth corner in the house, it will be required to use the Flying Stars method. Qi energy is present in the environment therefore depending on the Wind to bring the positive Qi energy to enter your house and retaining it to settle in the wealth sector. Using the right formulas, you will be able to influence the living environment to gain the positive Qi energy in your property. Here is what Wikipedia, the free encyclopedia has to tell about Feng Shui. The goal of feng shui as practiced today is to situate the human built environment on spots with good qi. The "perfect spot" is a location and an axis in time. Qi (pronounced "chee" in English) is a movable positive or negative life force which plays an essential role in feng shui. 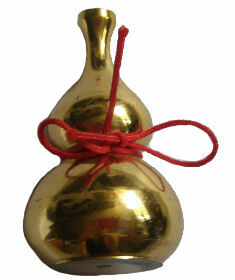 In feng shui as in Chinese martial arts, it refers to 'energy', in the sense of 'life force' or elan vital. A traditional explanation of qi as it relates to feng shui would include the orientation of a structure, its age, and its interaction with the surrounding environment including the local microclimates, the slope of the land, vegetation, and soil quality. The Book of Burial says that burial takes advantage of "vital qi." Wu Yuanyin (Qing dynasty) said that vital qi was "congealed qi," which is the state of qi that engenders life. The goal of feng shui is to take advantage of vital qi by appropriate siting of graves and structures. One use for a Luopan is to detect the flow of qi. Magnetic compasses reflect local geomagnetism which includes geomagnetically induced currents caused by space weather. Professor Max Knoll suggested in a 1951 lecture that qi is a form of solar radiation. As space weather changes over time, and the quality of qi rises and falls over time, feng shui with a compass might be considered a form of divination that assesses the quality of the local environment?including the effects of space weather. Polarity is expressed in feng shui as Yin and Yang Theory. Polarity expressed through yin and yang is similar to a magnetic dipole. That is, it is of two parts: one creating an exertion and one receiving the exertion. Yang acting and yin receiving could be considered an early understanding of chirality. The development of Yin Yang Theory and its corollary, Five Phase Theory (Five Element Theory), have also been linked with astronomical observations of sunspots. The Five Elements or Forces (wu xing) ? which, according to the Chinese, are metal, earth, fire, water, and wood ? are first mentioned in Chinese literature in a chapter of the classic Book of History. They play a very important part in Chinese thought: ?elements? meaning generally not so much the actual substances as the forces essential to human life. Earth is a buffer, or an equilibrium achieved when the polarities cancel each other. While the goal of Chinese medicine is to balance yin and yang in the body, the goal of feng shui has been described as aligning a city, site, building, or object with yin-yang force fields. The diagrams are also linked with the sifang (four directions) method of divination used during the Shang dynasty. The sifang is much older, however. It was used at Niuheliang, and figured large in Hongshan culture's astronomy. And it is this area of China that is linked to Huangdi, the Yellow Emperor, who allegedly invented the south-pointing spoon. Learning the art of Feng Shui definitely helps you to have a wider perspective about how the application of Qi energy combined with Yin & Yang and the help of the Bagua theory can change a person's life in wealth, health and good fortune. If you like to learn some basic applications of Feng Shui theory, please leave us your comment about what you are in search of and how we can be of help to you. Also, please click the LIKE button to share this on Facebook. Applying Feng Shui simple guide can make a difference in a person's life. If you click the LIKE button, you will be helping someone who also wants to have a change in his life and finding the right choice! ? Thanks.